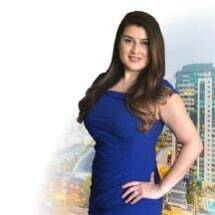 Iris Gomez is an associate attorney at Contreras Law, located in San Diego, California. Her area of focus is civil law, including business transactions, litigation, and real estate disputes. Prior to joining Contreras Law, Ms. Gomez also practiced in the area of family law. Although she now concentrates in assisting our civil law clients, this area and family law issues often merge allowing her when needed to use her previously acquired family law skills. Ms. Gomez is fluent in both English and Spanish. She takes pride in her ability to concisely and accurately explain the law to her clients in their native language. While she is not timid when it comes time for trial, Ms. Gomez understands the importance of negotiation and mediation when appropriate. Ms. Gomez will work with you and your Contreras Law team to put together a strategy within your budget to produce an advantageous outcome. Ms. Gomez obtained her Juris Doctorate from California Western School of Law, and her undergraduate degree from the University of Nevada, Las Vegas, where she earned a B.A. in Psychology and Criminal Justice. Throughout her studies, she had the opportunity to study abroad and interned at the Ministry of Labor for the Chilean government. While attending law school, Ms. Gomez interned at the South County Family Law Facilitator’s Office, assisting with wage and hour claims as well as appearing at hearings for unemployment appeals. Ms. Gomez is currently a member of the San Diego County Bar Association and San Diego La Raza. She has also been a mentor for the Hermanitas Mentorship Program through Mana of San Diego.